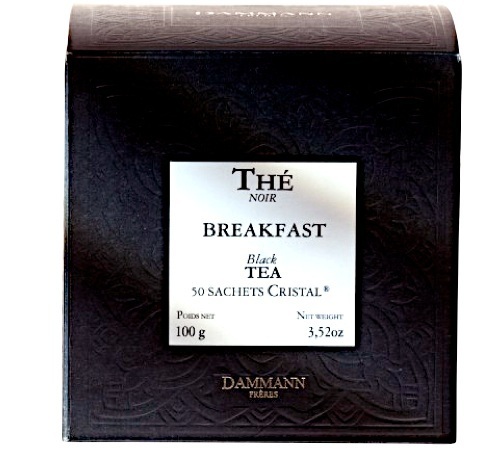 Blend of Ceylon, Darjeeling and Assam teas by Dammann Frères. Made especially for breakfast! 50 Cristal® sachets. Blend of Chinese and Ceylon black teas flavoured with rhubarb and wild strawberries. 1 box of 24 Cristal® sachets by Dammann Frères.